VideoCast: InfoWars Good, Journalists Bad? Pull up a chair. Let’s talk. A poll shows 43% of Republicans saying Donald Trump should have the power to ban media he doesn’t like, and 48% sharing his view of journalists as “the enemy of the American people”. Meanwhile, some of those folks are likely to be complaining about Alex Jones of InfoWars being dropped from social media platforms because of threats of violence, harassment, and hate speech. 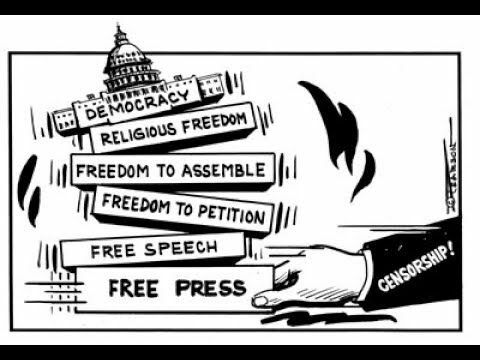 So where is “freedom of the press” heading in the US?